Published October 29, 2017 at 1920 × 1080 in Scientists discover new deep-sea cold seeps off Trinidad and Tobago! 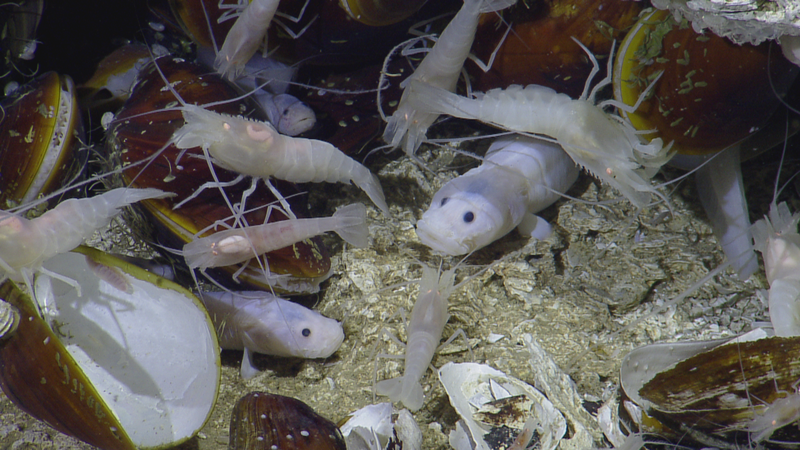 Three of the main inhabitants of the deep-sea seeps southeast of Tobago, Bathymodiolus mussels, Alvinocaris shrimp and the eelpout fish, Pachycara caribbaeum. Photo credit: Ocean Exploration Trust.